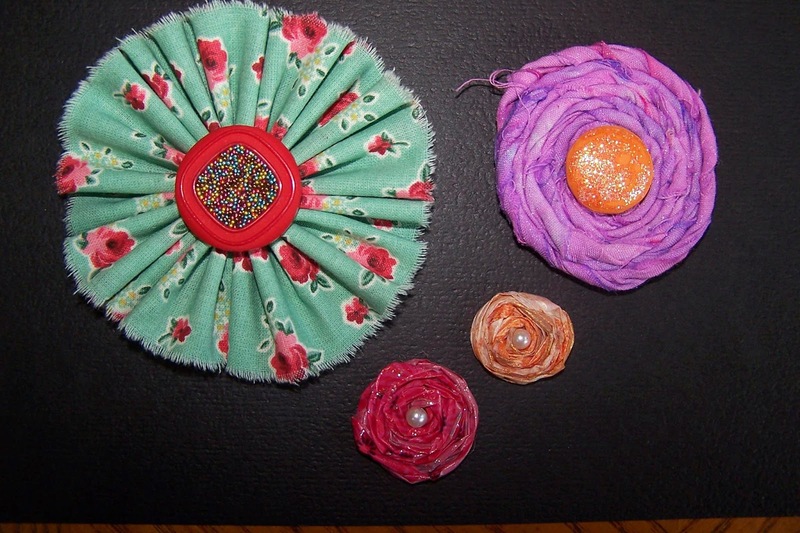 Take your time creating unique flowers as embellishments, using gathered fabric, Beadazzles, Dylusions-sprayed fabric and Washi tape. Pretty impressive, don't you think? 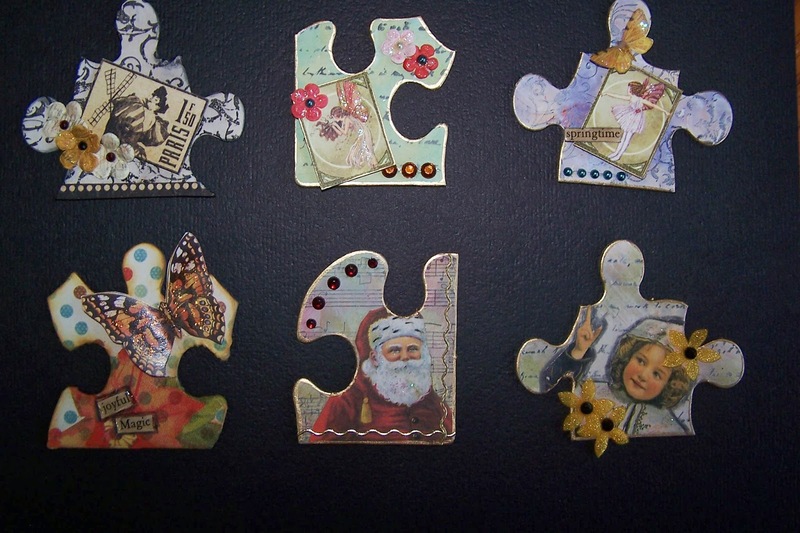 Create mini masterpieces as you discover the world of altered puzzle pieces! 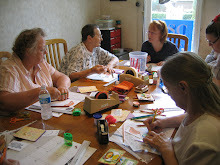 You may find it hard to leave this station, but there are other enticing projects waiting for you at "Endless Embellishments" at Cootie Coo Craziness on Saturday night, March 29, at the Woman's Club in High Springs, Florida.